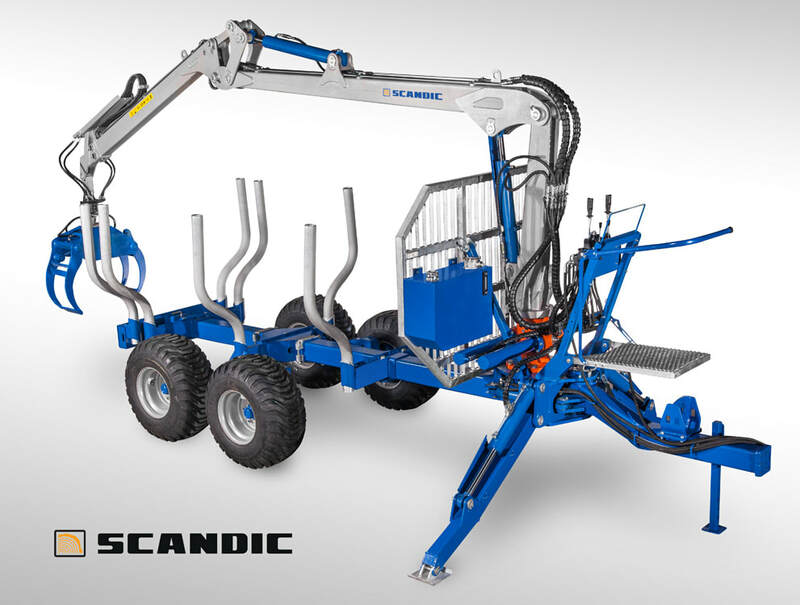 Scandic ST-6 is an affordable forest trailer for seasonal work. This budget-friendly trailer is designed for smaller forest and farm owners who do not need heavy forestry equipment for everyday use but are not willing to make sacrifices on build quality. It is perfect for carrying energy wood and up to 5 m timber from your local forest. 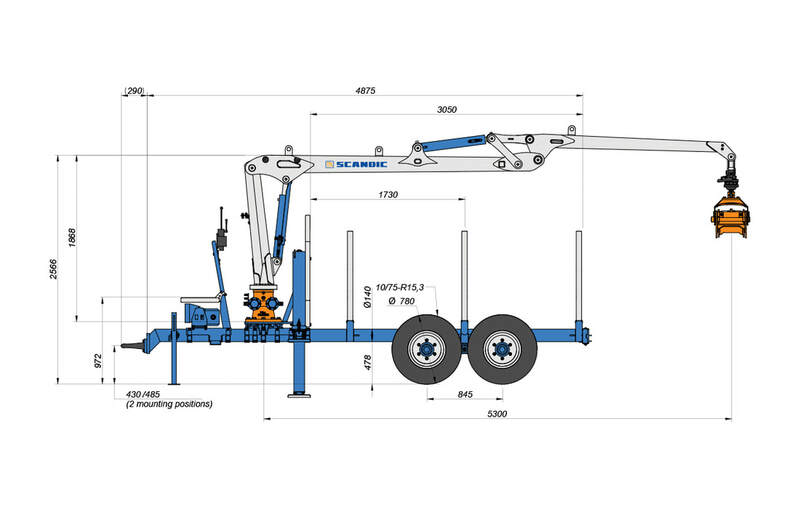 ST-6 is a fully equipped forest trailer with reduced dimensions (4.9x1.8m). 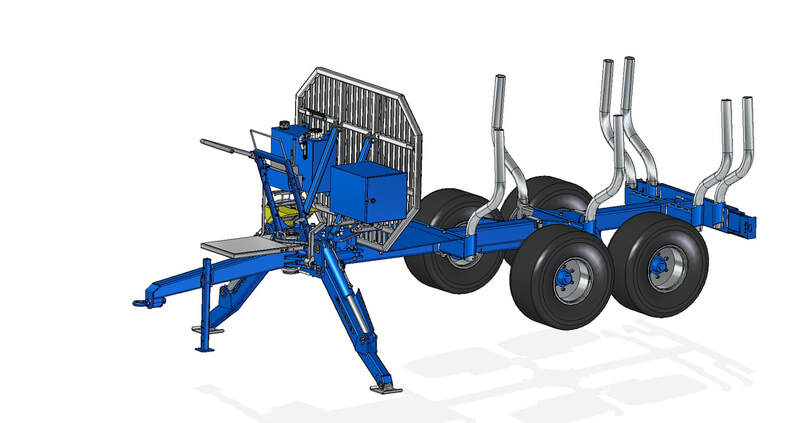 Lightweight design (trailer weights only 1100 kg) allows working on delicate forest floor and does not require heavy tractor. 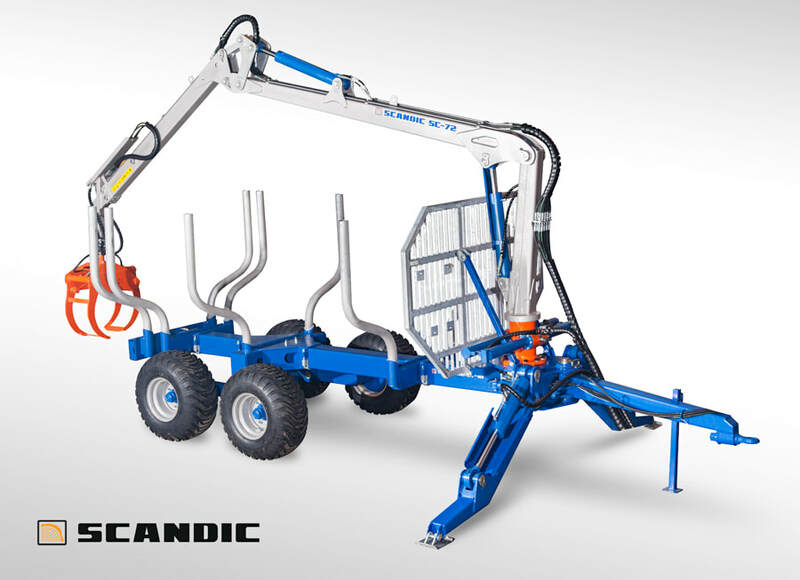 Scandic ST-10 forest trailer is preferred by professionals due to it’s 10.000 kg loading capacity and extra large loading area. ST-10 is also available in double frame version.